During QuakeCon 2017, I was invited to an early access of the showroom floor. There I would get to see a glimpse of all of Bethesda’s upcoming titles that are on preview during the show. Machine Games’ upcoming follow-up to Wolfenstein: The New Order is set to hit shelves this October. The original title was seen as a massively accepted reboot for the classic franchise that kick-started the entirety of the first-person shooter genre. This latest franchise focuses upon a post World War 2 world in which the Nazi’s won the war, condemning the world into a Nazi leadership. In the rebooted franchise, the game displays the Nazi’s power through superior technology and rarely seen occult artifacts that give them their leading edge against the rebels who resist their rule. Much like the original franchise, the only thing standing in their way is the franchise hero B.J. Blazkowics, whom is an American soldier with an affinity for adrenaline induced slaughter of his foes. In my starting minutes on the showroom demo, I was given a glimpse at one of the games starting missions. Like before, the wages of battle against his enemies have taken its toll on Blazkowics’ body. Bound to a wheel chair inside of a submarine, I found myself quickly wheeling around, but much to my dismay, somehow Nazi’s have found their way on board. For the rebellion, this is not a good thing as many of the resistance fighters seem to be calling this submarine home. Much like the previous game, my focus was quickly shifted to the Nazi invaders, and before long, I would find myself quickly wheeling my way through this underwater map. Much of my time with it was quite interesting. I would ignite electricity based traps, watching them bust into a viscera filled explosion where only pieces of them would remain. Armed with only a sub machine gone, I quickly discovered that Machine Games didn’t hesitate dialing up the previous games moments of action up to an 11. The games mechanics felt smooth, genuine, and didn’t hold back any of my previous experiences. Over the course of the single mission, I took time to remain astonished with the overall appeal to the game. The game ran rather solid on the AMD Vega chip set with an AMD Ryzen Threadripper powering it. Never once did I even see a hiccup even during the most intense moments of the game. Load times were phenomenally quick, averaging somewhere between 10-15 seconds before I was back in the action if I died in combat or managed to wheel off into a trap unexpectedly. Once done admiring both its capabilities via hardware and software, there was an inking of a question I had to ask one of the staffers on site. One that seemed prominently being called into question: Is the game focused on the current political climate? Within a mere seconds, I was quickly told it isn’t. While I had an itching to ask the staff member on site a bit more about it, I knew it wasn’t my place to dig, but just knowing that the game “isn’t based on the current political climate,” just fueled my anticipation for the games launch later this year. During my time playing it, the staff member from Bethesda gave me a few tips, even showing my how to maneuver B.J. around a bit more so that I wasn’t getting stuck on random things or rolling down the face forward into electrical traps. The games versatility and approach to combat was unique, leaving much to be desired on my tenth time through it. Thanks to ease of use via keyboard and mouse or an Xbox One controller, my experience overall was quite unique, enjoyable, while albeit quite chaotic due to the constantly moving crowds wanting their chance with the game. Overall, my experience with Wolfenstein II: The New Colossus left a lot of room to be desired. It left me knowing that the effects from the past game left B.J. quite beat up, broken, and in ways an entirely new man who had more than a chip on his shoulder than before. Whatever it is, it seems we’ll have to wait for the games release on October 27, 2017 for PC, PlayStation 4, and Xbox One. Disclaimer: All photo’s are from the original reveal trailer of B.J. in the wheelchair. These do not represent what we saw at QuakeCon 2017. 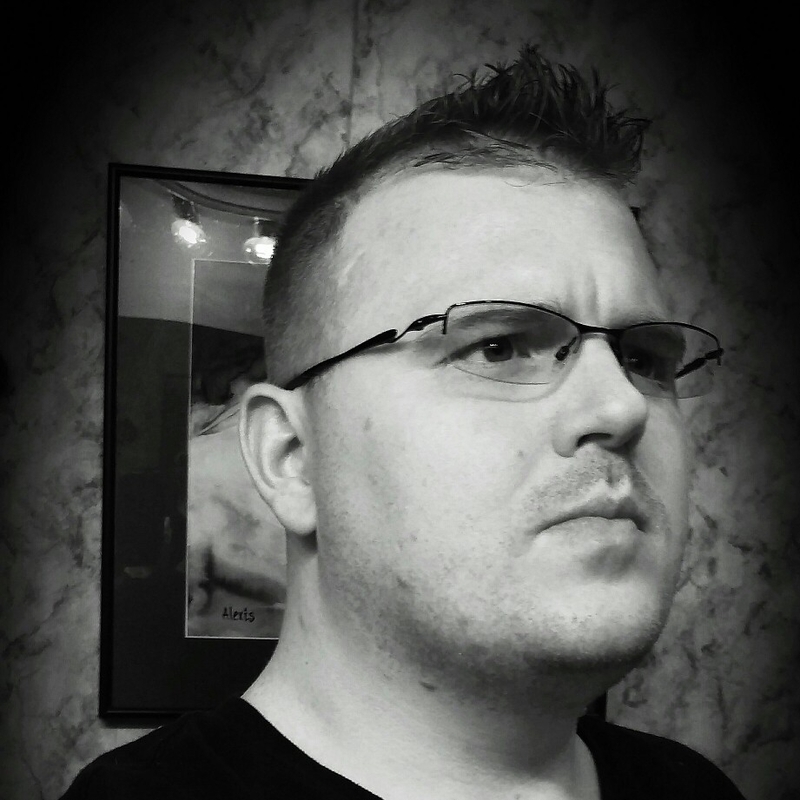 Dustin is our native console gamer, PlayStation and Nintendo reviewer who has an appetite for anything that crosses the boarders from across the big pond. His interest in JRPG’s, Anime, Handheld Gaming, and Pizza is insatiable. His elitist attitude gives him direction, want, and a need for the hardest difficulties in games, which is fun to watch, and hilarity at its finest. You can find him over on Twitter or Google+.